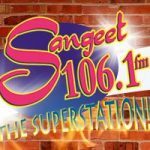 Sangeet 106 Fm broadcasting from Port of Spain, Trinidad and Tobago. Sangeet 106 Fm is the people’s Choiced online radio and community based fm radio station. They are Playing Bollywood music from the old to the new era for the Indian community living there. They have given their listeners the sounds like no one else can. Sangeet 106 Fm tries to cover those area of the country where there are possibility for more Indian listeners. On September 24th 1995 TBC launched ITS fourth station Sangeet 106.1FM, This Station evolved from a history of over fifty years experience of East Indian programming on TBC Stations. Sangeet 106.1…the Supserstation has established itself as the highest rated East Indian Radio Station for local Chutney music and Current Affairs. On March 1st 2007 TBC Launched its fifth Station Aakash Vani 106.5FM, an easy listening Radio Station which within three months of its launch created a sensation in the market emerging as the number one rated East Indian Radio Station in Trinidad and Tobago. 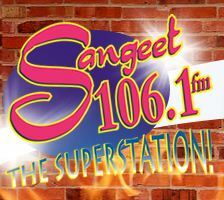 The SuperStation…Sangeet 106ONE FM is the East Indian radio market leader with the undisputed # 1 Morning Show – The Morning Panchayat. The brand delivers a contemporary sound as we cater for a primary niche market of 18-40 year olds.